The FIFA 19 Global Series has been dominated so far by one man, with Donovan “F2Tekkz” Hunt winning six titles this season. Three of those have been FUT Champions Cups, and you can add to that an LQE, the FIFA eClub World Cup and last weekend he became the first ever ePremier League champion. Tekkz will of course be the front runner, even more so now he has the Gfinity monkey off his back by winning at the Gfinity Arena for the first time with the ePL. So who can challenge the Liverpool star? We look at five names who can push the world number one close in London this weekend. Nicolas “FCB nicolas99fc” teamed up with Tekkz for the FIFA eClub World Cup, and as expected, the number one FIFA 19 players on PS4 and Xbox One combined to take the title. Nicolas has had a superb season in his own right, claiming two LQE titles at the Gfinity Arena, but he is yet to win a single player major on FIFA 19. He has made the console final at least in three of the four tournaments in London, and you can expect the Argentine to go deep once again for FUT Champions Cup April. 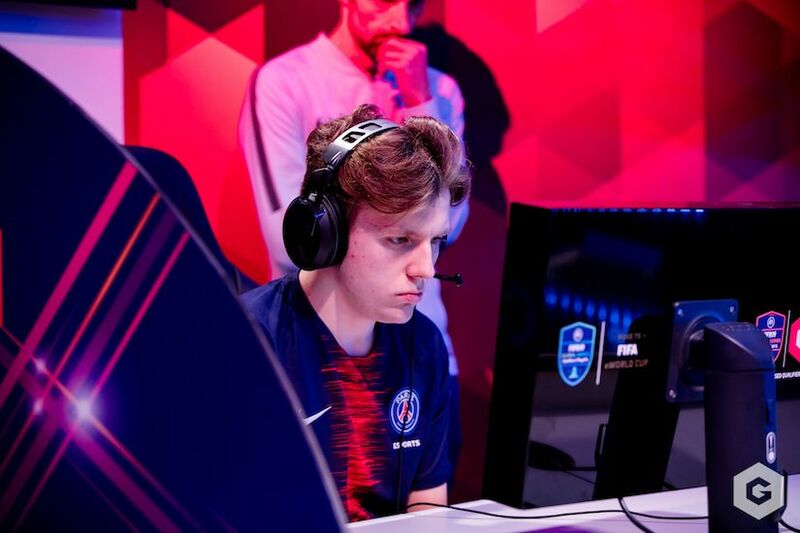 One of the most exciting FIFA pros to watch, Lucas “PSG DaXe” Cuilerrier has been dubbed ‘the Artist’ due to his beautiful build-up play. The Frenchman does lack consistency however, but he would be a popular winner at the Gfinity Arena. DaXe is yet to claim a tournament win on FIFA 19, but with two ESWC titles in years gone by, you know he has it in him to go all the way. Expect him to be Tekkz’s toughest competition on the Xbox side of the draw. Musaed “Rogue Msdossary” Al Dossary claimed the last FUT Champions Cup back at Gfinity in December, but it has been a relatively quiet season for the Saudi Arabian otherwise. At the LQE two weeks ago he reached the cross-console final but fell to Nicolas, which was a slight surprise given Dossary’s strength across both consoles. The Team Rogue is the reigning World Champion, and he will be looking to take form into the back end of the season to he can defend his title this summer. Always capable of an upset Lev “xLevVinken” Vinken, just needs to string results together to claim his first ever FIFA title. The fact he is so high in the rankings without even reaching a cross-console final shows that he is consistently qualifying for events and getting out the Swiss-style group stage. The highlights for him this has been the semi-finals at the FIFA eClub World Cup with FaZe, and reaching the PS4 final at Gfinity FIFA Series January. One of the nicest guys in FIFA esports, Michael “MegaBit” Bittner will be searching for the form that saw him with in the FIFA 18 Global Series playoffs last season. This year hasn’t gone perfectly, but a console-final appearance at the PGL LQE in December proved he can go deep in tournaments. MegaBit’s form since the turn of the year needs to improve, with the German only making it to the knockouts once in 2019, reaching the console semi-finals at FUT Champions Cup February. Tune in to FUT Champions Cup April on Twitch and YouTube from April 5-7.